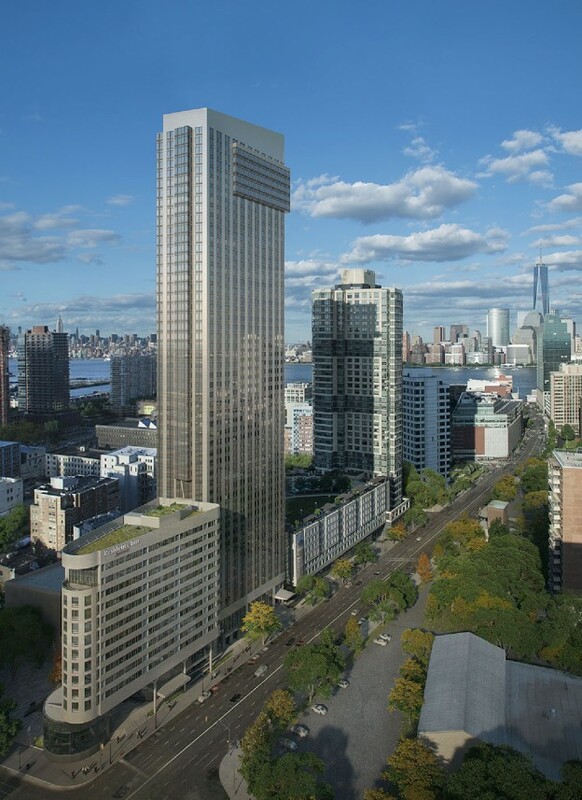 The first of two towers proposed for 70 and 90 Columbus streets in Jersey City. Designed by Gwathmey Siegel Kaufman Architects, Minno & Wasko is acting as the Pay for Performance (P4P) Partner, as part of the New Jersey New Construction program, which takes a comprehensive, whole building approach to saving energy. This project includes 512 market rate apartments in a 48 story tower. Our role is to develop an Energy Reduction Plan identifying energy saving measures for the building to perform 15% better than a code compliant building. M&W is also acting as the Home Innovation Green Verifier certifying the project in compliance with the National Green Building Standard. This ICC700-2008 standard recognizes sustainable design in residential construction. It is a comprehensive program covering everything from Site design thru operation and turnover to buyers/renters. The project was completed in late 2015.